A new front door can say a lot about your home and your property. It provides the first impression to your visitors and can create a welcoming and inviting door. SGK Home Improvements are specialist installers of a wide range of composite entrance doors that offer the very latest in features, innovations and designs. They also offer durability, dependability and high security. Our range of market leading and latest generation composite doors are available in a choice of traditional or contemporary designs. Choose from doors that can replicate your original old wood door or from a host of colours, hardware options and glass patterns. We source our doors from the leading UK manufacturers all with many years experience in this specialist field of doors. The Door Stop name is one of the best known in the UK. Door Stop doors are renowned for their durability, security and energy efficiency. Manufactured from the latest GRP internal core for superb performance, they are complemented by unlimited colour and hardware choices enabling you to design your own unique door. Endurance Composite doors benefit from a solid timber core for enhanced security and strength. They are available in a choice of traditional or contemporary styles, great for those seeking a modern looking door with a host of features. They can also benefit from the latest in locking technology and a treat choice of hardware. 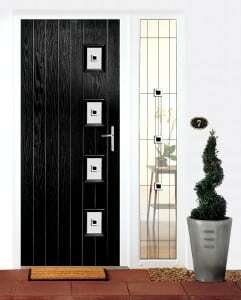 Our range of Endurance Composite Doors give you yet more choice when it comes to solid cored doors. You’ll find exceptional glass detailing, and a huge choice of colours, security upgrades and much more besides. High security comes as standard with SGK Composite Doors. All our composite door ranges come fully tested to the latest British and European standards for security, weather performance and air, wind and water resistance. They also meet the new PAS 24 security testing meaning they pass the Police Preferred Specification that is Secured by Design. 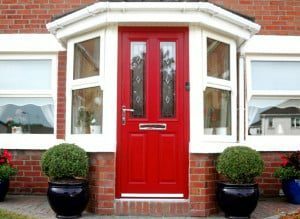 SGK Home Improvements – your local door experts. Contact us to find out more about our range of security doors for your home, installed with precision and care to enhance your home.